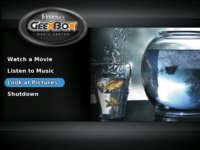 GeexBox aims at turning your computer into a Home Theater PC ( Media Center). 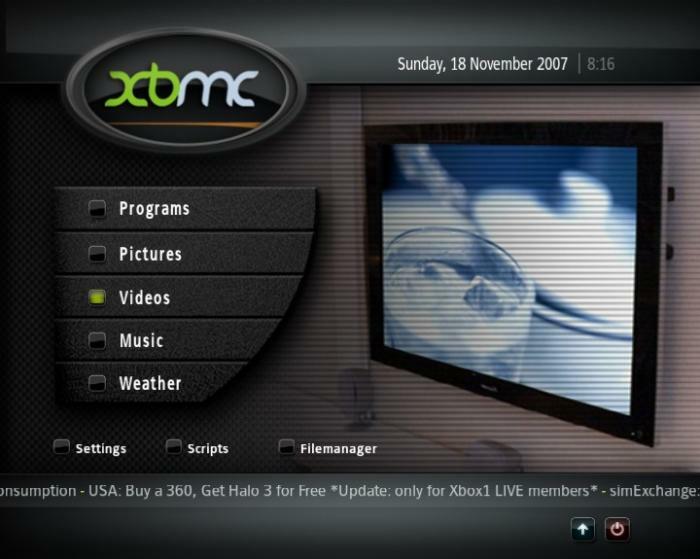 it' s a standalone LiveCD-based linux distribution, it's a ready to boot operating system than works on any Pentium-class x86 computer or PowerPC Macintosh, implying no software requirement. .
Open Source application ideal for turning your PC / TV into a very advanced Media Center. MediaPortal allows you to listen to your favorite music radio, watch and store your videos and DVDs, view, schedule and record live TV as a digital video recorder and more..
LinuxMCE is a free, open source add-on to Kubuntu including a 10' UI, complete whole-house media solution with pvr + distributed media, and the most advanced smarthome solution available. Basic 'live-tv' functionality. Pause/Fast Forward/Rewind "live" TV. Initially, installation of MythTV seems like a huge task. There are lots of dependencies, and various distributions seem to do the same thing different ways. Manage your entire digital media collection: music, videos, photos etc. via a remote controlled TV interface and through the built in web interface you can access your media from anywhere in the world.